Global Distributor Is Electronic Components Sponsor at Bombay, Chennai. December 14, 2018 – Mouser Electronics, Inc., the New Product Introduction (NPI) leader that empowers innovation, will be a major sponsor at the upcoming Indian Institutes of Technology (IITs) annual technical festivals. Mouser representatives will participate as Electronic component sponsors at Asia’s largest science and technology festival, Techfest at IIT Bombay, Dec. 14 – 16, followed by Shaastra at IIT Madras, the first ISO-certified student-run festival, Jan. 3 – 6. At both Techfest and Shaastra, the Mouser booth will feature a showcase of versatile, next-generation development boards that can help engineers create their next designs. Visitors to the booth can also participate in a simple design quiz and enter for a chance to win an Analog Devices EVAL-ADICUP3029 development board with Bluetooth® and Wi-Fi connectivity for Internet of Things (IoT) applications. As Electronic Components Partner of Techfest, Mouser will sponsor International Full Throttle, an action-packed competition where teams race remote controlled cars in a dust-filled arena packed with unforgiving barriers. At Shaastra, Mouser is sponsoring the Arduino Programming Challenge, where engineers will solve difficult programming problems using an Arduino microcontroller board and their electronics and programming skills. 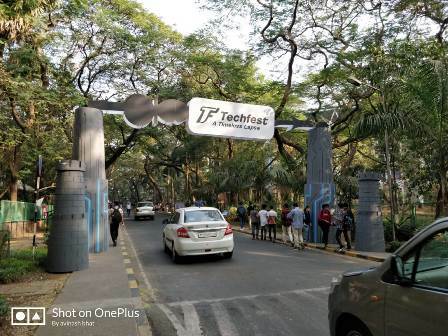 Techfest 2018 will see over 175,000 students, with an outreach of 2,500 colleges across the country and 500 colleges from outside India. Shaastra 2019 is expected to draw up to 75,000 attendees.